This luxury villa is Located in Balchik right on the shore of the black sea coast. It has a huge living room equipped with all the amenities one would expect. 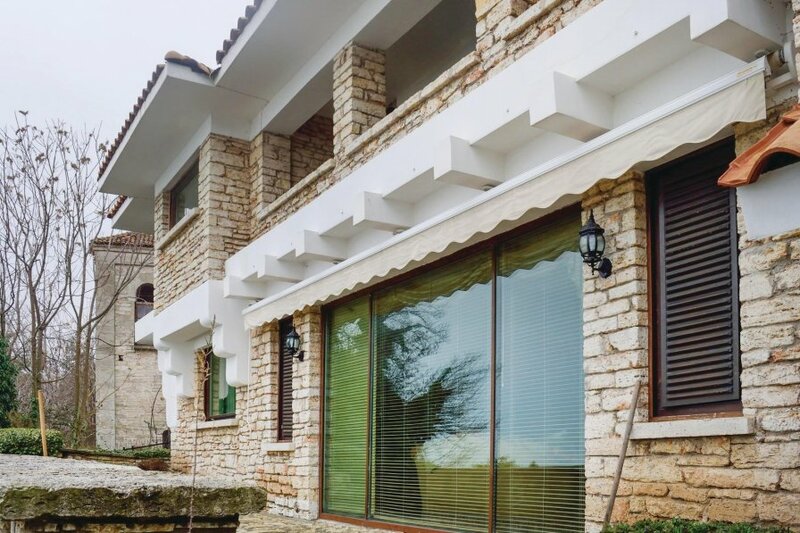 This luxury villa is Located in Balchik right on the shore of the black sea coast. It has a huge living room equipped with all the amenities one would expect. Plus this property has beautiful panoramic views over the black sea. The villa has a huge living room equipped with all the conveniences for the pleasant stay of the guests, two bedrooms with care mixing traditional elements with more contemporary touches. The villa also has a large swimming pool and sauna, ideal during the long summer months. The villa has a spacious kitchen with all the necessary amenities to prepare delicious food and drinks. Guests will have ample space to relax in the dining room, in the living room or in the garden. Balchik is a town with a rich history, excavations, and museums and so on. Nearby attractions are the Historical Museum, the Art Gallery, and the temple of the goddess Cybele, the botanical garden, the Palace in Balchik. This beautiful villa is made from brick or stone and was originally built in 1938 and refurbished in 2009. The agent has rated it as a five star property so it is one of their best villas - tastefully furnished and fully equipped. It is also great value for money. This villa has use of a shared pool and beautiful panoramic view over water; it is also only 5 metres from Balchik. The nearest airport is only 48km away. It is set in a very convenient location, just 20 metres away from a sandy beach. There's also a restaurant only 500 metres away. The villa has free wireless internet. You can also park on-site at no extra charge. The villa is well equipped: it has a refrigerator, washing machine and dishwasher. The property has a sauna; it also has a barbecue, a garden and some garden furniture outside.